Super Mama from Taranaki DHB on Vimeo. As part of the Ministry of Health’s “better public service” target, Taranaki DHB has developed an informative video for young mothers on how to keep themselves and their baby healthy during pregnancy. 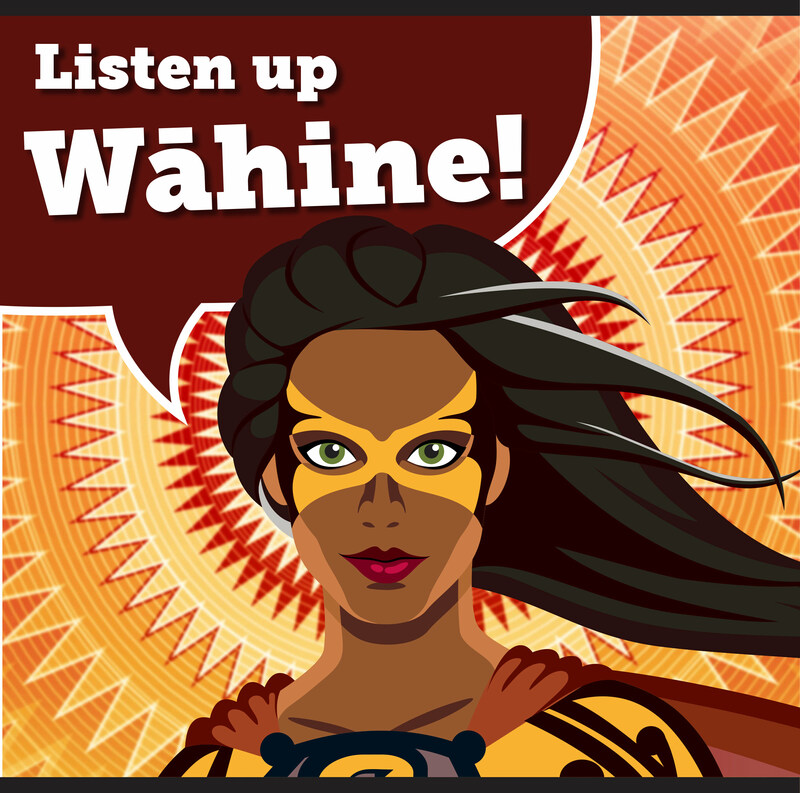 The video features a Māori super hero named Super Mama, who offers important advice to pregnant mothers in the first 10 weeks of pregnancy and beyond. Click here to read Super Mama’s top five tips or watch the video above. 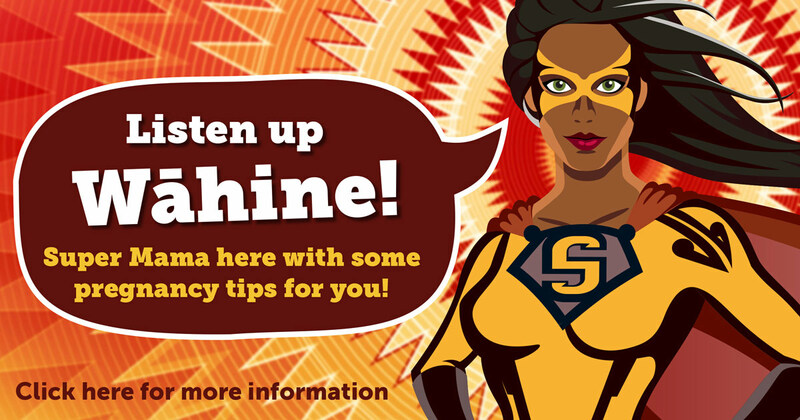 There are a range of Super Mama resources available to download below. You can also add 'Super Mama Taranaki' as a friend on Facebook to get ongoing support and advice directly to your Facebook news feed. Every Super Mama needs a midwife to make pregnant life a whole lot easier. Find a midwife as soon as you find out you’re pregnant, they know everything about pregnancy! There are midwives available in Taranaki all the way around our māunga. For more information check out these websites to find yourself a midwife now. Super Mamas can take supplements during their pregnancy, including iodine and folic acid that support their Super-Pepe’s brains. Your midwife will explain this to you. Having a baby can be stressful and emotional, but don’t worry, it’s just the hormones. Talk to your midwife, whānau or friends, and remember, it's ok to ask for help. Avoid unhealthy habits during your pregnancy and whilst breastfeeding. No smoking, drinking or drugs. Your Pepe doesn’t want that - Auahi Kore whānau! Eat healthy and keep fit and active during your pregnancy. It’s important to eat the right kai so go the fruit, vegetables and the wai. Look after yourself wahine ma, move that body! Go for a hikoi and monitor your weight gains.